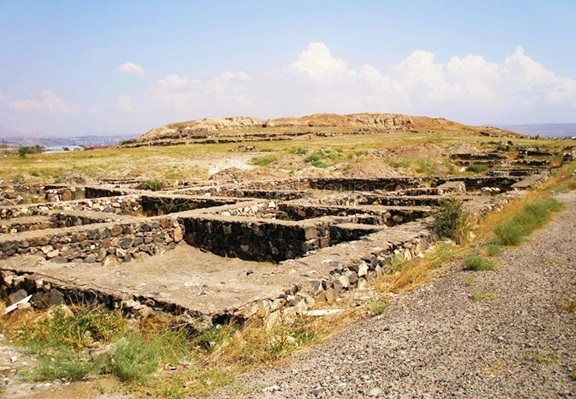 Territories of two historical and archeological culture preserves Shengavit and Karmir Blur have been approved by two documents, signed on February 5 and March 3 this year, Ashot Piliposyan, director of the Erebuni museum told a PanARMENIAN.net reporter. “Tens, hundreds and thousands of books are written about any historical and archeological memorial. They lose their significance in the course of time, but a memorial remains a durable source of information and the subject of research,” he said. Ashot Piliposyan emphasized the importance of defining the territories and boundaries of the two historical and archeological culture preserves. Armenians have had four viceroy seats, one of them in Artsakh. Archaeologists have discovered four viceroy bronze wands during excavations at Karmir Blur, archaeologist Hagop Simonian, Deputy Head of the Research Center of Historical-Cultural Legacy under the Ministry of Culture, told reporters Thursday. He said the findings unearthed from the site shed light on the pages of Armenian history that others want to dispute, reports ArmRadio.am. “I’m deeply confident that Urartu is an Armenian kingdom with its multi-layer population, where the Armenian element has been dominant,” Hagop Simonian said.